Hello there dear readers! Have you ever put off buying something and finally after getting it, you shake your head in disbelief and ask yourself what were you thinking the whole time? That's what happened to me the moment I tried The Body Shop all-in-one face base. I've been wanting to buy one for the longest time but the price kept me thinking and postponing. Honestly, I don't totally regret postponing because I finally got one and the best part is I got it for FREE from Shen's 4th Anniversary giveaway! 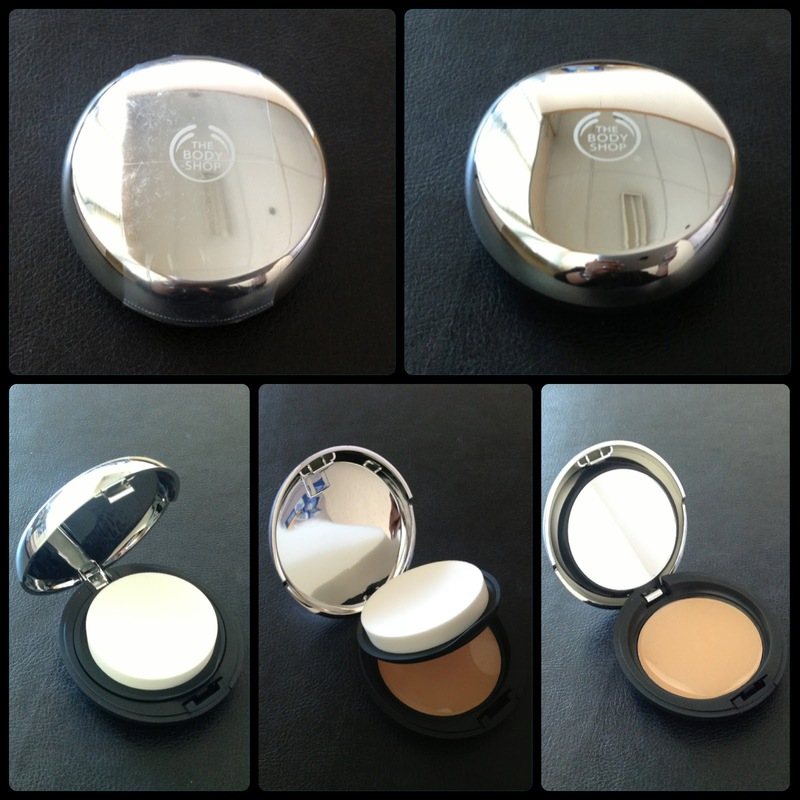 The Body Shop all-in-one face base looks modern and chic with its polished silver compact. The compact reveals two layers, the top being the sponge applicator's compartment while the bottom houses approximately 9 grams of compact powder. I love that the sponge applicator is of good quality that you can wash it often. It also has a nice mirror big enough to see your entire face. This product is unscented and has a very fine texture that it doesn't flake when picked up by the sponge or face brush. It also feels light and comfortable on your skin. A few gentle strokes using the sponge applicator can give light to medium coverage. This product is also buildable so you may use this to achieve full coverage. It has a matte finish that looks natural without caking. It doesn't dry your face or cause any type of skin irritation and break outs. Overall, I love this product so much that I recommend it to those who want a finishing powder that can give you varied coverage depending on what you need. I will definitely repurchase this product once it's consumed.